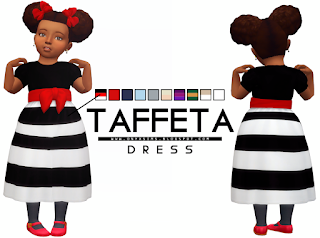 A new formal dress for your toddler girls, I know there aren't a lot of them out there. Since it's the holiday seasons, I finally went ahead and made one. I've also included the texture for anyone who wants to do recolors since this palette is quite limited. Everything is properly tagged: Toddler, Feminie, Formal/Party/Hot/Cold, Long Dress, and disabled for random.